Online directories can be great sources of links and sometimes exposure for a website. Unfortunately because of cookie cutter directories have saturated the web so much it can be difficult to tell which ones are actually beneficial. Below are some processes to help you find which ones can actually help maximize your link. Keep in mind that while all of these factors are advisable, only a few of them should be considered make-or-break factors. This is the only factor that actually needs to be considered first. 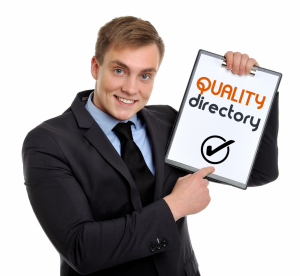 The more relevant the directory is as a whole, the more beneficial the link will be. On the other hand, if the directory has a very different theme than the website that’s being submitted, it may have little or no effect. Ideally, you want to have as many separate C Block IPs pointing to your website as possible, but the idea of having links on the same C block isn’t as bad as many in the SEO would have you believe. However, in the case of directories, it’s not uncommon for shady webmasters to create a gazillion directories and try to get you to submit to all of them. Or worse yet, they link to their own directories in an effort to manipulate the PageRank. Google looks for this and discredits such activity. If you need to check the IP address of a particular website, Domain Tools can help point you in the right direction. This should go without saying, but given the fact that there are so many shady directories out there that use scripts and robots to automate everything I’ll say it anyway: Directories need to have humans at the helm! Humans add genuine touch, customer support, a backlink profile of their own, not to mention they usually care more about the directories since, many times, it means their livelihood. This kind of quality is common in local business directories, they often have a direct correlation with the webmasters submitting the websites. All of this can play a big role in the SEO benefit that’s received from a link on human-edited directories. This is something else that you should put a fairly high priority on. If keywords are in the URL where your link will be, excellent. The SE’s will draw a correlation between that page URL and your text on the page. Giving you that much more boost in relevancy. Of course, you won’t always be able to see where your URL will be placed, but it’s well worth looking before you submit your site. By doing a simple search operator (“mint” site:goguides.org) you can immediately gain a little perspective on that directory and the quality of it. From that you can discern that either Mint thought enough of GoGuides to submit it’s own website, or that the editors of GoGuides-in an effort to improve the quality of their directory-included Mint on their own. Note: This doesn’t mean that other directories that don’t have big brands aren’t good quality, but it is something that we take into account at Advice. It’s been so long since a web directory was actually designed for its original purpose, our marketing-geared brain may have forgot about why a directory exists in the first place…to provide relevant answers and information. If you’re considering a directory that you can’t honestly say helps visitors, then you’re probably better off moving on to the next one. Your prospect has to be ranking for certain keywords, simple as that. If they aren’t ranking for some detail pages, or even their own brand name you need to move on. They don’t have to rank #1 or #2 or anything, but they need to be seen. If they don’t even have enough SEO benefit for themselves, what makes you think they’re going to pass any on to you? Similar to having a human presence, a contact/about page can tell you a lot about the quality of a directory very quickly. Very rarely will you see a low quality directory with a contact/about page. Age – Have they proved worth by being able to stick around? PageRank – Can be used as a “trust” signal, but shouldn’t be used as a direct correlation between the SERP benefit that will be passed. Remember-it’s PAGErank, not DOMAINrank. Wherever your link is placed reflects the PageRank juice that can be passed-not the homepage PageRank. Alexa Rank – Under normal circumstances Alexa ranking would probably never be considered, but the ranking can give you an approx idea of popularity. Site: – I would do a site: operator to check and see how many pages your prospect has indexed. Aside from age, this may give you an idea of how long they’ve been around and how developed the directory is.